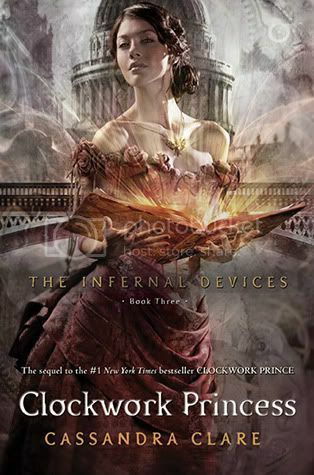 Clockwork Princess is the third and final novel in the much loved ‘The Infernal Devices’ series. I was so excited to finally get my hands on this book. I wanted to read it as slowly as I could, so that I could savor the moment. Of course, I ended up flying through the pages as quickly as I could, because it was just that good. As in the previous books, I adore these characters. Tessa is a headstrong, stubborn heroine that can always be counted on to try and save the day. Yes, she is a bit of a martyr, but that’s ok! It just shows exactly how much she cares for everyone. Jem is such a sweet and caring soul, and he nearly broke my heart to pieces in this book. But it is Will, dear sweet Will, who will always be my favorite. For reasons that are SO obvious in this book. I love the secondary characters as well; Charlotte and Henry, Sophie, Cecily, and the Lightwood brothers. Magnus, as always, is wonderful and mysterious. Even Bridget, who I never could quite figure out, has turned into an all-time favorite of mine! I thought the book was very well paced; there was never really a dull moment. There are quite a few shocking moments in the book; one in particular that left me gasping in shock. The ending of the book is one that will make everyone happy, no matter what side of the fence you are on. While I hate to see the series end, I thought it was wrapped up rather nicely. I’m looking forward to ‘seeing’ a few of my favorite characters again in City of Heavenly Fire. Overall, I love this series. I really, really do. 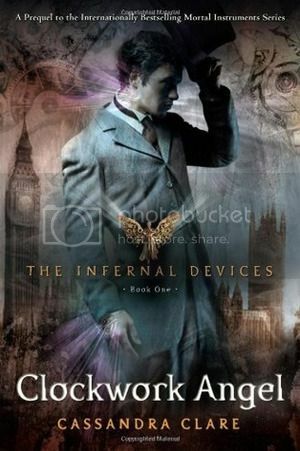 It is one of the first series that made me fall in love with reading again. It will always have a special place in my heart, and on my bookshelf. If you haven’t read this series and The Mortal Instrument series as well, you definitely should check them out! I read the first one of these but haven't read any more, yet. Sounds like I need to check it out, if the ending's good! I really need to catch up and read the sequel! I took a peek at the ending while I was at Target and I thought the ending was too much "have your cake and eat it, too." But maybe I need to read the rest of the book? 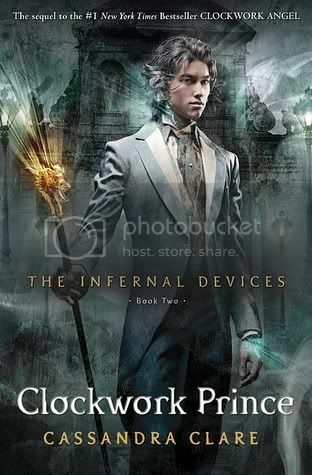 I haven't even cracked my copy of Clockwork Prince, though! Haha I did the same thing, I wanted to read it slowly but ended up racing through it! I wasn't a fan of the epilogue if I'm honest but loved the book (and the series!) as a whole. Really glad you loved this series too! Thanks for the review :). Great review, I completely agree with it! The end was happy and sad at the same time.